Friday, 8th November 2019, 08.00 a.m. - 10.00 p.m.
Saturday, 9th November 2019, 08.00 a.m. - 07.00 p.m.
Sunday, 10th November 2019, 08.00 a.m. - 0.00 a.m.
Saturday, 9th November 2019, 09.00 a.m. - 06.00 p.m.
Sunday, 10th November 2019, 09.00 a.m. - 06.00 p.m.
Info: The ticket offices opens at 08.45 a.m.
We recommend the environmentally friendly and stress-free journey by public transport.The fastest way to Photo+Adventure is by underground line U2 (station Messe-Prater). For a detailed timetable inquiries please use the websites of VOR or ÖBB. 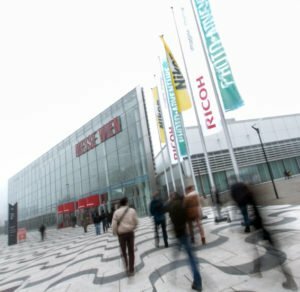 If you wish to travel by car, you will find detailed directions and information on the parking situation around the exhibition grounds on the Messe Wien website www.messe.at. Parking tickets (EUR 10,80) can be purchased at the information desk and the box office.